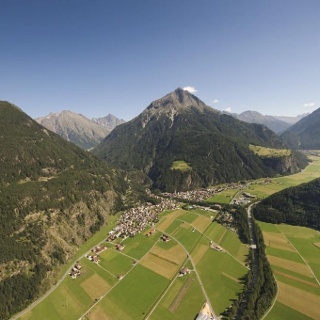 The forth and last stage of the Ötztal Cycling Path (52 km) starts in Längenfeld and ends in Sölden. This stage is appx. 15 km long and easy to drive (ascent about 200 meters). Thanks to under- and overpasses on this stage, it's possible to cruise to Sölden off the busy Ötztal federal road. 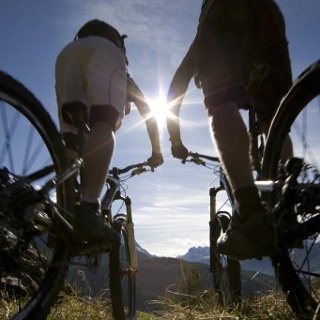 It has almost no change in altitude and runs through small hamlets on asphalt and gravel trails. Leaving behind Huben, the bike trail crosses the federal road again and runs parallel until you reach the hamlet of Bruggen. Here you cross the federal road for the last time. In Aschbach the path leads over a bridge, then uphill and slightly sloping down to the next bridge overpass. Keep to the east at the next fork-off and do NOT ride towards the Dog Pension but downhill to the valley floor where a bridge crosses the river. 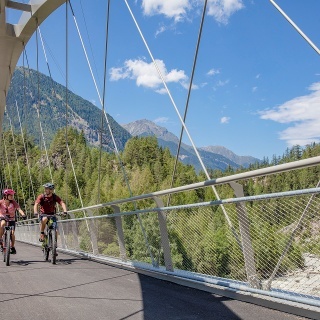 The last part of the Ötztal Cycle Trail takes you on the eastern shore of Ötztaler Ache to the village of Sölden.